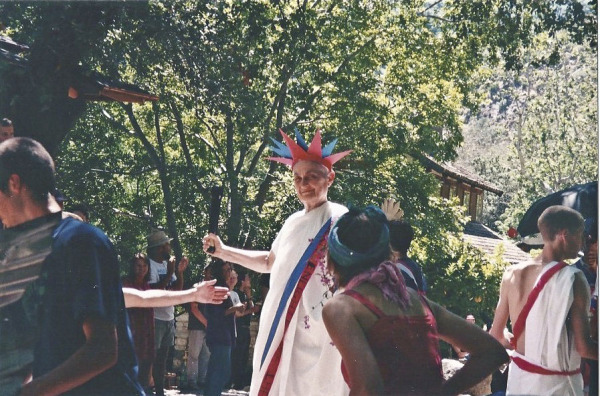 Zenkei Blanche Hartman is shown below in a past Interdependence Day Parade at Tassajara. The annual event at Tassajara around Independence Day in the US celebrates�what else?�our inter-dependence. The photo was submitted by Soren Leaver on the Boundless Life blog, which has recently shifted its focus (read more here).